Manchester United are concerned that demands from David de Gea's agents will increase the price of his new long-term contract at Old Trafford, something which has stalled negotiations somewhat. It was reported on Monday that the club's top brass were becoming increasingly confident over the new deal after de Gea was given the chance to become the highest paid player in English football history, offering a five-year contract worth £90m. The new deal would have seen de Gea follow in the footsteps of teammates Anthony Martial, Luke Shaw and Chris Smalling by putting pen to paper, but ESPN claim that there has been a hitch in negotiations because of agent demands. 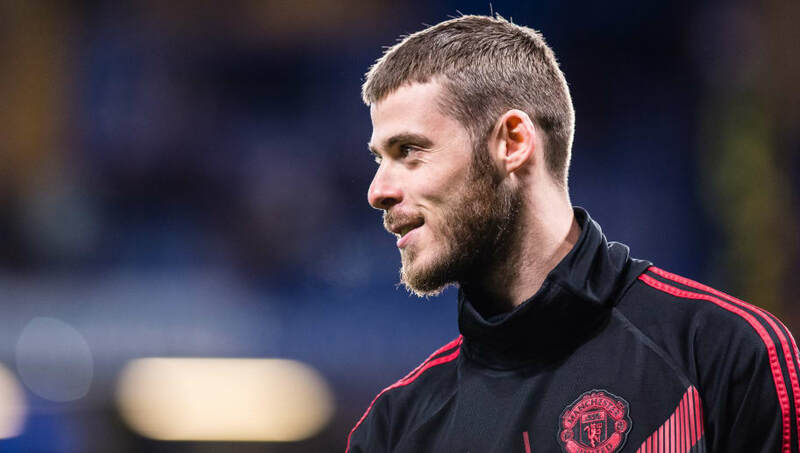 Manchester United are concerned that de Gea's representatives are driving up the price of the contract extension, having previously been confident that they could meet the Spain international's wage demands. The Red Devils are also looking to extend the contracts of Marcus Rashford, Ander Herrera and Juan Mata, but those deals have all been put on the backburners while they negotiate de Gea's long-term future at Old Trafford. The 28-year-old has been named as the club's Player of the Year in four of the last five years and in the eyes of most fans has surpassed Bayern Munich star Manuel Neuer as the number one shot-stopper on the planet. If de Gea's contract talks don't get back on track, the Spaniard will be available to walk away from the club on a free transfer in 2020. He's often flirted with a move to Real Madrid and would have joined Los Blancos in 2015 had it not been for a faulty fax machine, as documents needed for his registration in La Liga didn't arrive until two minutes after the transfer deadline had passed.